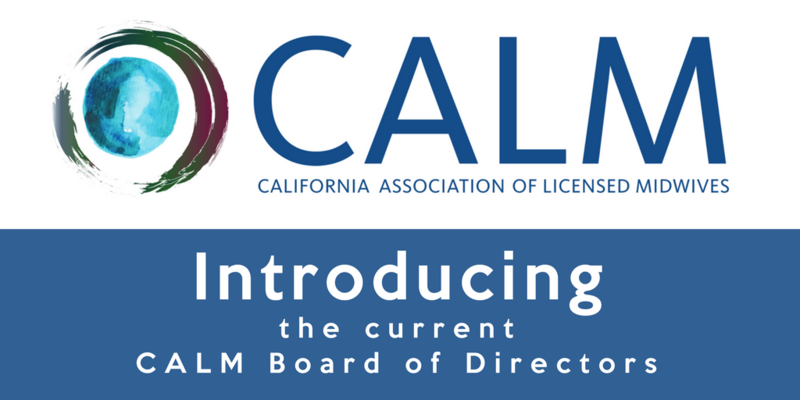 The California Association of Licensed Midwives (CALM) is pleased to announce our new Board of Directors. The full board now consists of founding board members and our newly elected members, who were affirmed by an overwhelming margin by CALM membership. We hope you will join us in thanking each of the nine board members for their service to California licensed midwives! Kayti Buehler is a licensed midwife who has been working in the birth field since 2007. Before becoming a doula and then a midwife, Kayti lived in a farming town in Miyagi, Japan for eight years where she learned to speak Japanese and wear an apron. Before that, she facilitated Female Sexuality classes at University of California, Berkeley, where a very clever midwife, Maria Iorillo, introduced her to midwifery and inspired her little dream to grow. 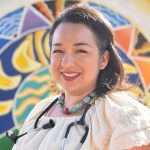 Kayti currently works as part of a group home birth practice, Mother to Mother Midwifery, as well as teaching courses at Nizhoni Institute of Midwifery and acting as a board member for the California Association of Licensed Midwives. Rosanna was a midwife 20 plus years in the making. She attended her first childbirth at The Birth Place in 1981 and felt “the call” to midwifery. She subsequently attended a year long childbirth assistant training at the Birth Place and taught childbirth education classes. However, she put her strong call to midwifery on the back burner, because she felt the risk of being arrested for providing care during the 1980s and 1990s too great a stress and risk for her family to weather. While waiting for the California licensed midwifery practice act and midwifery schools to be approved by the Medical Board of California, she worked as an electrical engineer. Eventually, Rosanna graduated from National Midwifery Institute and secured her midwifery license in 2004. Rosanna’s midwife mentors were Donna Driscoll and Faith Gibson. Birthing From Within informs much of her work with clients (cultural preparation, physiological birth education and neuro-linguistic programming). She is the creator of Prenatal Village Care™, a prenatal group care experience for small midwifery practices. 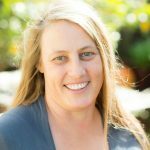 Rosanna never pictured herself in a leadership role in midwifery, but, having been asked and elected to the California Association of Midwives (CAM) board in 2013, she’s felt a strong sense of responsibility to help protect and forward midwifery, while in a leadership role with CAM and CALM. Having avoided politics for most of her life, she’s felt it necessary to learn and grow political skills so that CALM can be effective at legislative advocacy. 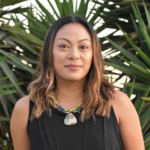 She’s applied logistical and visionary skills creating CALM’s organizational foundation for sustainability and in preparation for bringing in strong leaders to carry midwifery forward in the coming years. Rosanna loves midwives; she knows how passionate and hardworking they are. She sees and experiences the disheartening ways that midwives and their clients are sometimes misunderstood and mistreated. She’s hopeful for the future of midwifery in California, having discovered that a professional association is a powerful tool in creating positive policy and cultural change. 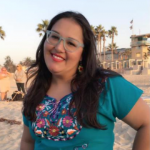 Jhoanna Galvez LM, CPM, is the founder of Malaya Midwifery, located in Long Beach, CA. She centers her practice around the diverse and unique families of Los Angeles and Orange county. She has a vision and belief that families of all kinds could benefit from the individualized evidence-based care midwives provide. She supports CAM/CALM’s work to expand access to midwifery by building bridges with local providers and supporting students of color to increase the number of available professionals. She also supports CALM’s programming for continuing education and professional resources for the advancement of all midwives. Alicia Hubbell is a licensed midwife committed to offering quality prenatal, labor, birth, postpartum and well-woman care in the home. Alicia believes that the natural physiological action of birth is a truly innate process that we were beautifully designed to perform. Women and people having a choice to birth how they want to is incredibly important to her. She has been a licensed midwife for two years and is passionate about making midwifery accessible to all. 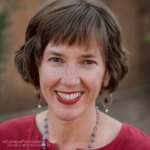 Kiki Jordan is a licensed midwife practicing at the Marin Family Birth Center in San Rafael. She began her midwifery journey in 1999 after being inspired by the homebirth of her son. Recognizing the ancient tradition of midwifery, she chose the apprenticeship model of education. She trained in both home and birth center settings. After a brief apprenticeship with her town California midwives, she enrolled in the International School of Midwifery in Miami, FL. 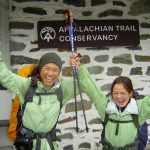 She is licensed in California and has practiced in Florida and Georgia as well. She is proud to have worked as a Midwife in several freestanding birth centers owned and operated by licensed midwives. These experiences have strengthened her commitment to narrowing the racial and cultural service gap within the “natural birth” community. 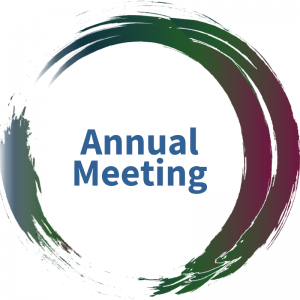 Kiki is proud to serve as a CALM board member, an organization that works to further the impact of the licensed midwife. Racha Tahani Lawler is a California licensed midwife, skilled in the midwifery traditions of her Southern U.S. and South African ancestors. She is the direct descendant of midwives, dating back four documented generations. Racha obtained her formal education in hospitals as a nursing student and at the historically accredited midwifery school Maternidad La Luz. She ultimately chose traditional midwifery without nursing school, and obtained her license to practice midwifery in 2004 after the home waterbirth of her first born son. All three of her children were born at home in water, post due date and they have attended well over 180 births either carried on her back or sitting at her side. While successfully managing and operating her own home birth midwifery practice, she also supported others in starting and operating birthing centers. In 2011, with the support of family and friends, she opened The Community Birth Center, where she would go on to serve hundreds who journeyed from all parts of Southern California to Los Angeles. The Community Birth Center promoted the successful “Free Friday” program, inspired by Florida licensed midwife, mentor and friend, Jennie Joseph. Racha and supervised midwifery students provided well-woman/person exams, STD/STI testing and education, prenatal care, postpartum care, breastfeeding support and education, only charging for discounted lab fees. After five years and an overwhelming desire/calling to reclaim traditional South African midwifery practices, Racha closed The Community Birth Center in 2016. Racha is still fighting everyday to reduce prematurity rates in descendants of Africans, who rank the highest in maternal and infant morbidity. She is the recipient of both California Congressional and Senate awards for her work as a community midwife. She was acknowledged by and awarded by the City of Los Angeles and a local council member for her community health work. In 2013 she was privileged to receive the Midwife of the Year award from the Doulas Association of Southern California. In March of 2015, she received the Lillian Mobley Community Service Award for her commitment to serving the community, and missed her presentation while midwifing at a birth! Racha works as a midwife attending to families in home birth, water birth, and occasionally labor support in hospital (monatrice services), not only in Los Angeles California but world wide; flying as far as clients need, from the East Coast to South Asia and everywhere in between. Firmly committed to providing midwifery care regardless of race, socioeconomic status or gender, she is blessed to have attended well over 1,200 births in the United States and abroad. Tema was born and raised in San Jose, California and studied for a short time in Mexicali, Baja California. She has dedicated the past 15 years to the service of women in different capacities, including Gang Intervention Specialist, Sexual Assault Counselor, Perinatal Health Educator, Teen Parent Advocate, Breastfeeding Peer Counselor, and Birth Doula. After being a doula for some time, Tema came to a crossroads. Being a doula meant she could support many women within the hospital setting, but it also meant she must bear witness to some of the traumatic routine hospital practices. She knew as a doula that her care in the hospital was limited to the care provider and that if she wanted her clients to receive more dignified care that she would have to become their care provider. The universe aligned, and her prayers were answered. 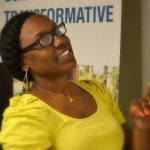 Tema received full funding to midwifery school and completed her three years of clinical practice at Birth Roots Maternity and Women’s Health Center in Chula Vista, CA. Tema has a deep commitment to seeing midwives of color succeed and hopes to provide future opportunities, including sustainable apprenticeships and NARM examination funding. She is the lead on a grass roots project, Borderland Midwives, providing prenatal care to migrants in Tijuana and (soon) opening the first Birth Center in Tijuana. When not immersed in the birth world, she enjoys attending cultural events, Aztec dancing, gardening, singing, playing the guitar, and sewing. Sharon Potteiger found her life’s calling after witnessing her first home birth in 1986. She has been a student of birth ever since and became licensed by the California medical board in 2009. She is part owner of Santa Cruz Midwives, Inc., a thriving group practice modeling more sustainable practice. 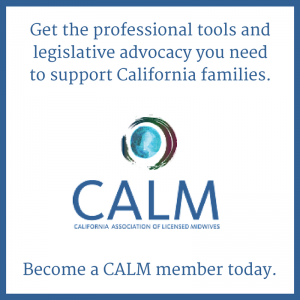 She is a founding member of the California Association of Midwives Foundation and CALM Board of Directors. Pearl Yu, licensed midwife, has been attending births in a variety of settings since 2001. She is a founding member of the CALM Board of Directors and current Vice President of CALM. 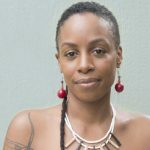 Pearl is co-owner of Oakland Community Birth Center, which focuses on providing care to families of color and space for relevant community programs, training midwives of color, and birth justice issues. She also has a busy home birth midwifery practice serving the San Francisco Bay Area.